Hey guys! 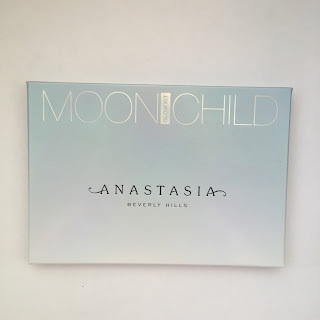 So about 6 months ago, I posted my first ever review on Anastasia Beverly Hills Glow Kit 'That Glow' and it was my most viewed post for awhile, so as with my Christmas money i treated myself I ordered moonchilld I had to share it with you guys! So overall I would give this product 20/10. It is the most beautiful collection of highlighters I've ever seen and I am so so glad I finally bought it because it's breathtaking and will bless my cheekbones with glowyness!! We like need to talk about the packaging. It's out of this world! The blue to an ombré lighter blue an almost white with a holographic reflection is pure genius, it looks amazing in the light and photos. to keep it shut it has quite a strong magnet that really works. I love how the writing is in a metallic silver and the logo on black it is so beautiful and sleek I'm in love. It may be cardboard but it's beautiful and defiantly as good as plastic. For the 6 metallic powder highlighters the price was £40 which personally I think is so worth it! You get 6 highlighters with 4.2g of product and you are paying for the brand too when it comes to products like this. 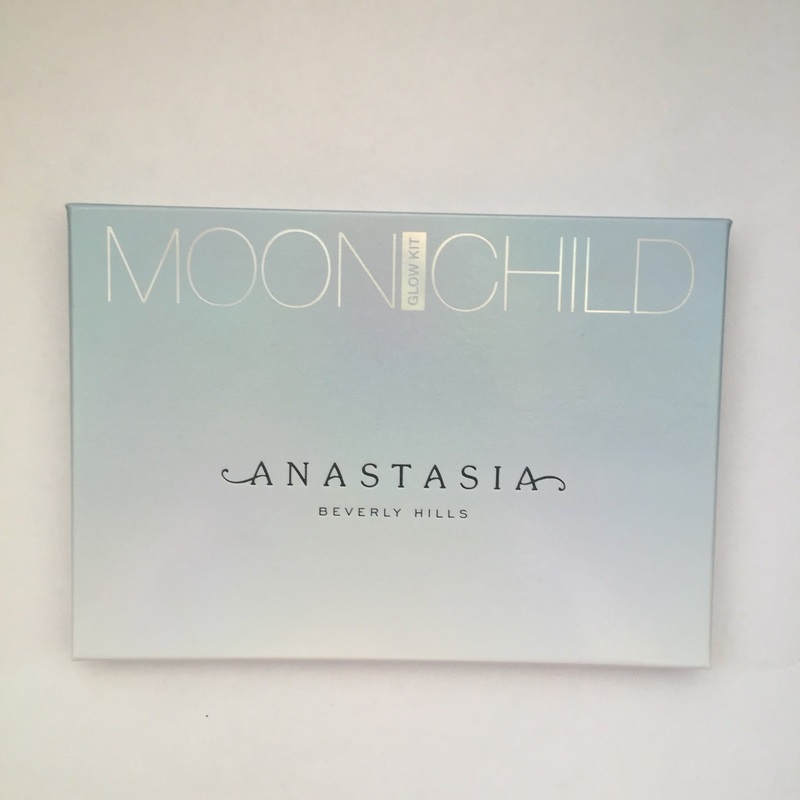 The size of the palette itself is a good, travel size and isn't bulky at all, just perfect! 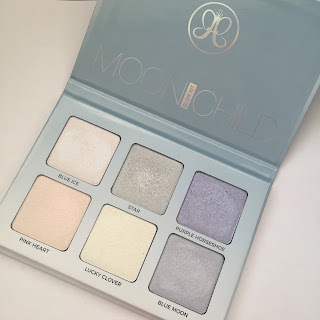 As I have fair skin, the shade look beautiful when applied and defiantly blended amazingly, from swatches I can tell this palette will loon amazing on anyone and I think everyone should have it. With such an amazing palette like this, you get pigment, not even just a slight glow you get BLINDED! The pigment in this palette is insane when first applied, they go on so smoothly and an amazing texture to work with. they are truly out of this world. The palette contains 6 daringly amazing colours - not the usually every day wear but when you wear them you will glow! Each shade has amazing undertoned or reflections! swatches without and with flash, the camera didn't do them justice oh my. 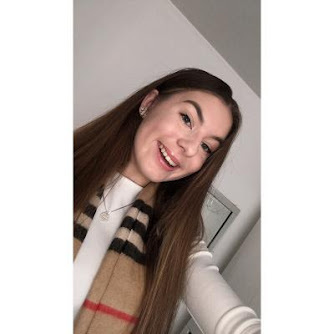 so i hope you all enjoyed reading about this stunning palette, i would recommend it to anyone because its such a staple product to have, the colours are so different and can really add to a look. This is a gorgeous palette, I need it!